The markets are returning to normal. Problem is, people have forgotten what normal is. But not The Daily Dirtnap subscribers. To those readers, what’s happening in the markets has not come as a shock. That’s what happens when you get Jared Dillian’s super-timely market analysis delivered to your inbox almost every single business day. We discussed the probability of this happening in a previous issue of The 10th Man, which was all about the short volatility trade. The title is Black Monday, if you want to look it up. We even discussed it years ago in a piece about covert gamma, which is the idea that the market is very asymmetric to the downside. All of these things came to pass. And I’ve been warning my Daily Dirtnap readers about the short volatility trade blowing up pretty often over the last six months or so. You get the picture. Of course, I was also sharing what trades I thought would work in the event of the short vol trade getting hammered. Anyway, let me explain the significance of what just happened. Short volatility, as a strategy, has been discredited. In the past, people had come to expect less and less volatility. They will now expect more and more. 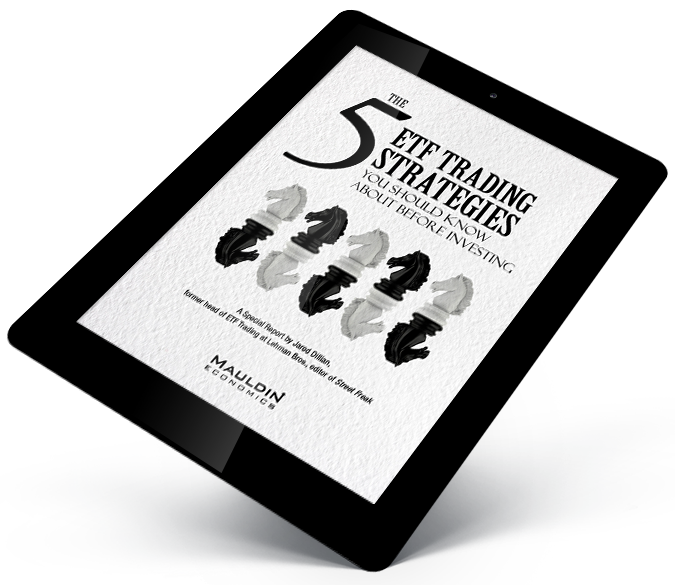 And I’m not just talking about explicit short vol trades like inverse VIX ETNs, VIX futures or options, variance swaps, or other exotic vol products. I’m talking about implicit vol strategies as well—any strategy in the financial markets which is dependent on low volatility will blow up. All of them—all of them—will cease to exist. It is the path that is uncertain. Will they all blow up this week? Probably not. This is what we have been waiting for, folks. We have been waiting for volatility to return to the markets. Believe it or not, this is a lot healthier, even though it doesn’t feel like it. The volatility bell has been rung, and you can’t unring it. For the benefit of everyone who might not fully understand what just happened (including Carl Icahn), let me walk you through it. Lots of people were short volatility. 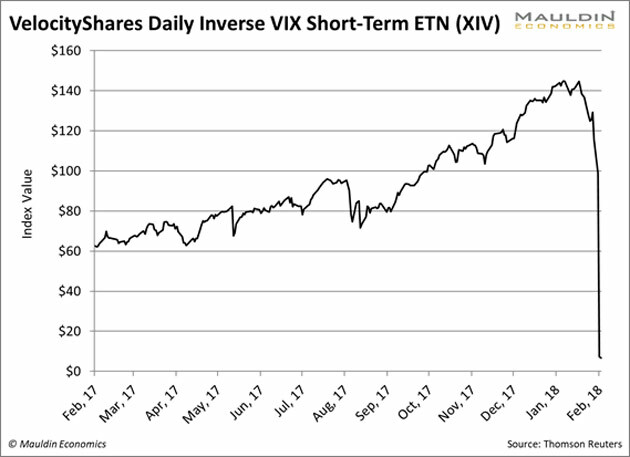 As you know, they were short volatility through inverse VIX exchange traded products (ETPs) like XIV and SVXY, but the “short vol trade” was much bigger than that. But let’s focus on the VIX ETPs for a moment. XIV was essentially just short VIX futures; this isn’t hard to figure out. If you’re short something and it doubles, you lose 100%. XIV was short VIX futures and they nearly doubled, and it lost nearly 100%. The prospectus says if that if the fund loses a certain amount (80%, I believe) it would shut down and return capital to investors. XIV will be gone in about a week or so. A lot of people lost money on XIV. A lot of people who didn’t have money to lose, lost money on XIV. A lot of people also made money shorting XIV. That’s some good old-fashioned trading, right there. Once it became clear in the afterhours that the fund was nearly kaput, the piranhas jumped in. My concern months ago was that the vol market could break under the strain of the leveraged VIX products. When the VIX moves, the VIX ETPs rebalance, and the more it moves, the more they had to rebalance. I heard that there were 280,000 VIX futures to buy on the close on Monday, but you know what? The market was able to absorb it. It’s amazing how hard it is to break a market. Now, a lot of people are going around blaming the VIX ETPs for being some kind of high-stakes casino, and saying we should ban these products. Slow down there, Turbo. VXX was created because people wanted to be long volatility, and there are good reasons for wanting to be long volatility—like hedging credit. XIV was created because people figured out how expensive it was to be long volatility, and they wanted to do the opposite. XIV did exactly what it was supposed to do—make money for six years and give it all back in one day. That’s short vol. If the entire market is dependent on low volatility, what is the likelihood that stocks have made money for six years and will give it all back in one day? Over the last few days, there has been a lot of vol selling going on. People are trying hard to unring the bell. But you can’t. Volatility is back, and there’s nothing you can do about it. If you are still with me, it means you want to know everything about what happened this week. And you probably would like to know what will happen next. 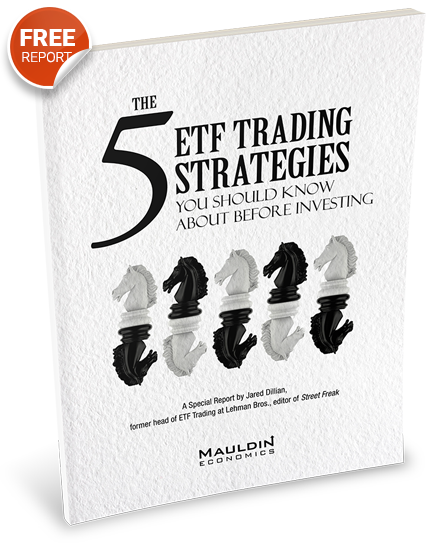 And… you might want to know how to invest in this new environment. This is what I do for a living. I write, every day, about the markets, how to invest, and where I’m putting my own money. If you can keep up with three pages of writing every day (you know you can) then you should join me and about 3,000 other readers. I encourage you to take the next step and read me every day in The Daily Dirtnap, the investment letter I started in 2008. I just started the 10th year of publishing, and there is no end in sight. Look, I try to give you guys serious things to think about in The 10th Man. But the Dirtnap is where I talk to investors and market watchers almost every business day. Now that some action is returning to the markets, it’s where you need to be. Join us – in a week you’ll be hooked. Order it here, and I’ll see you tomorrow.